I am a steadfast fan of author John Boyne (best known for his novel The Boy in the Striped Pajamas). 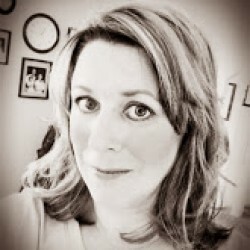 He has a knack for capturing the unique voice of young boys who usually serve as his protagonists in his historical novels that are teaming with social issues of the day. 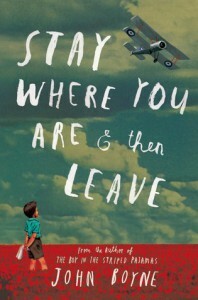 Stay Where You Are & then Leave is the story of Alfie who is a mere five years old in 1914 when his father goes off to serve in the Great War....the war everyone said would be over by Christmas. As Alfie later notes, no one said which Christmas. Four years later, Alfie is still waiting for his father to come home. Boyne does a fine job recreating the various hardships created by the war and weaving them into a readable tale for Middle Readers and Young Adults. Not only does he depict the deprivations of civilian life in London, but he also focuses on the war's conscientious objectors, the questionable results of unwavering patriotism, and the rampant discrimination and violence perpetuated on anyone of Continental European descent. But at the heart of the story is Alfie's father and the medical phenomenon that was so rampant and misunderstood throughout this horrible war: shell shock. As the medical community tried to grapple with this mental condition they knew little about and even less how to treat, they collided with politicians and a general public who refused to acknowledge a condition that had no physical manifestation. The results were disastrous and heartbreaking. Boyne does his best to present this without whitewash but still through the eyes of a ten year old boy - a difficult task at best. Ultimately, he does a good job, although the novel feels like he is continually holding back. Alfie is a well-rounded character, but he is the only one who is. His parents -especially his father - feel a bit two-dimensional. If his father were a bit more fleshed-out, there might have been more of a connection there, creating a more emotional bond for the reader. As a result the book is a good book versus a great book. Still in all, it is a good read, like all of his books, and I always recommend them.